SAN JOSE — Wesley United Methodist Church will present the 82nd Wesley Aki Matsuri (Fall Festival) on Saturday, Oct. 11, from 11 a.m. to 4 p.m.
Everyone is welcome to come and celebrate the coming of the fall season. A refreshed look at a traditional Japanese festival is planned for all to enjoy new and traditional foods, a variety of entertainment and activities, and one-of-a-kind shopping. On the menu are chicken teriyaki, kalbi bento, vegetable curry, teri dog, suno dog, udon, chicken salad, inari sushi, maki sushi, Spam musubi, manju and smoothies. 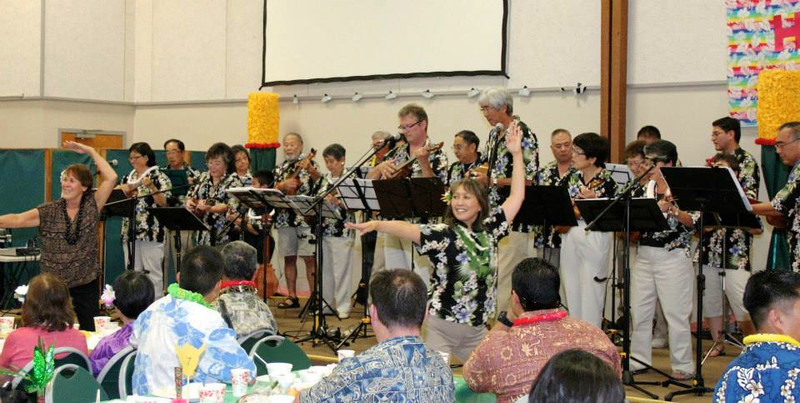 Entertainment will be provided by Chidori Band (11 a.m.), Wesley Jazz Ensemble (11:50 a.m.), vocalist Jun Ogawa (12:40 p.m.), Wesley Ukulele Band (1:10 p.m.), Halau Na Wai Ola (2 p.m.) and San Jose Taiko (3 p.m.). There will be games and craft-making for all ages. The new marketplace will feature handmade Asian crafts, sundries, Japanese books, and an array of local fresh plants and flowers. The church is located at 566 N. 5th St. in San Jose Japantown. Parking will be available at the Wesley 6th Street parking lot, down the 5th Street center divider (between Jackson and East Empire), and the 6th and Jackson parking lot. For more information, visit http://wesleysj.net.